Dancer Flip! 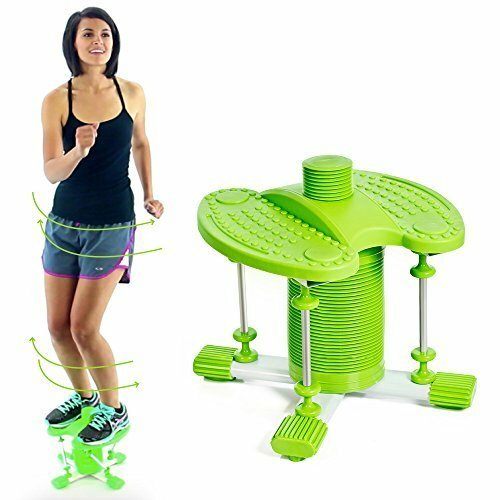 A fun and unique Cardio exercise equipment, that was fully tested to ensure your safety. When looking for a fun way of losing weight and burning fat calories, or just to get your little one moving, Dancer flip your answer! It Allows enjoyment for the entire family-adults, teens and children from age 6, with a weight capacity of 250 lbs. ****100% Satisfaction Guaranteed**** We are sure you will be thrilled with the high quality the dancer flip , however, we will reimburse you 100% of your purchase, be it, that you are not 100% Satisfied!! 100% SATISFACTION GUARANTEED - If you don't absolutely love your Dancer Flip Twister, we guarantee you that we will reimburse you for 100% of your order. BOUNCE INDOORS AND OUTDOORS-Strong rubber grips are at the base of the Dance Flipper, so they grip ALL surfaces securely and safely. Dance outdoors and indoors, on concrete, the lawn, carpet and tiles. CREATED WITH YOUR ACTIVE CHILD IN MIND-The active children will love this challenge of BALANCING, BOUNCING, TWISTING and TURNING. It will keep them active in a way you will love; In addition to getting them to do exercise WILLINGLY! RECOMMENDED AGE: 6 years and up. GREAT ENTERTAINMENT FOR ANY PARTY-When hosting a fun party, for a group of children or adults, using the Dancer flip for the entertainment will make it all double the fun! Watch with pleasure, how they challenge themselves,twisting and turning, while laughing and having fun! If you have any questions about this product by Dancer Flip, contact us by completing and submitting the form below. If you are looking for a specif part number, please include it with your message.